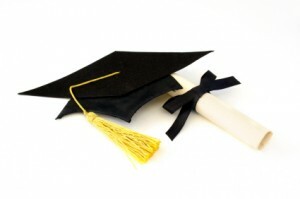 Five steps to ensure that the one who graduates on time is you! When college graduation rates are published, most people seem to think the vast majority of students accepted to college graduate. But in reality, the current graduation rate for full-time students stands at a miserable 53%. But wait, it gets worse, since that oft-quoted number is actually the six-year graduation rate. When it comes to four-year graduation rates, i.e., those full-time students who graduate in the requisite four-year timeframe, the percentage drops all the way to 37%. That means roughly two out of every three college freshmen has not earned a diploma four years after beginning school. Given the costs of college, it is hard to justify the expense unless you come away with that all-important diploma. And even worse, if you don’t graduate in four years you have made a costly proposition even more expensive. If you are going to school full-time, you owe it to yourself and your family to complete your program in four years. Here are five steps to ensure that you meet that goal. The first step to a diploma in four years is to select the right college. Unfortunately, selecting a school is not an easy process. The reason is simple – no one school is right for every student. That is why a student should never select a college based simply on name recognition, reputation or selectivity, the caliber of its football team, or the fact that classmates or other family members will or have attended that school. To select the right college, you must do your homework. 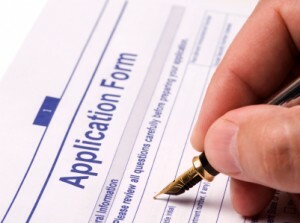 Your selections should be based on at least three critical elements, the location of the school (urban, sub-urban, or rural), the specific academic program offered (consistent with your career and academic interests) and the non-academic, cultural-based, on-campus activities (consistent with your personal interests). The best way to tell if a college is right for you is by making a campus visit. Spending a few hours on campus, visiting classes, meeting students and observing the culture will give you a real sense of whether or not you will fit in there. At the right school, you will feel a real sense of excitement about what it would be like to attend classes there. College is incredibly challenging, academically and emotionally. Therefore, it is essential your school help bring out the very best in you. That won’t happen if you are on a tiny campus where everyone knows everyone else and you actually crave anonymity. Likewise, the anonymity provided by a large state school may be unsettling to someone who wants to get to know each of his or her classmates. 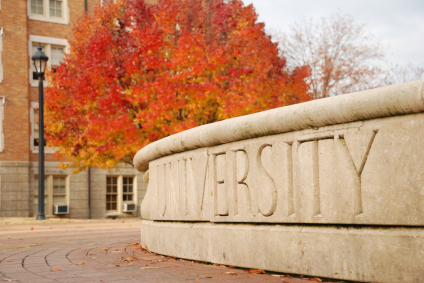 Ultimately, choosing a college is all about what is the best fit for you. If you don’t do your homework, you will find out very quickly first semester freshman year if you made the wrong decision. Should you make the wrong choice, it is not only possible to correct the mistake; you owe it to yourself to correct it. But it will cost you precious time and will likely mean the four-year plan is done. Picking a major is even tougher than picking a school mostly because there is no real consensus as to how to determine what is right for you. That is truly a personal matter for the individual choosing. Moreover, while some students start college knowing exactly what they want to major in, many others are torn between many subjects that interest them greatly. In fact, most college counselors will tell you that uncertainty tends to be the norm and that the vast majority of students change their majors multiple times. Ultimately, you must discover what it is that you are passionate about. First you will do much better in those classes that you’re interested in. Second, it is much easier to study and work on materials in those courses that motivate you. This in turn translates to the critical time when you graduate – you don’t want a job, a place where you have to go to work to earn a paycheck. Instead what you want is a career, a place where you get paid to do things you are truly interested in and enjoy doing. Therefore you should not pick a major based simply on the notion that jobs in that field pay well or gain a certain level of prestige. Knowing you will make gobs of money one day will not necessarily help you deal with the challenges of those classes today. Likewise, if you don’t care for the work involved, the paycheck will not make up for your level of unhappiness. It is important to note that some people are unable to narrow their choice to one major so they construct a path towards a dual option. Other students pursue a major and a minor, or sub-focus. But if you have no idea at the outset, that is not necessarily a problem. At most four-year colleges, you aren’t required to declare a major until the end of your sophomore year. Therefore, if you are not sure, don’t pick something at random. Selecting the wrong major can be a step backward in the overall goal of finishing in four years. Instead go without specifying a major and select a general program that allows you to initially take courses to see which areas you might be interested in studying deeper. For more on the choice of major we suggest you visit the College Board. Though college is extremely expensive, one positive is the enormous set of campus resources available. One particular resource every student must take advantage of once they have enrolled in a specific school is their faculty advisor. These individuals are assigned a caseload of students and expected to provide both academic and general education guidance. Your advisor will be able to help you refine your goals, your academic focus (including help with choice of major), help you locate key resources, and are expected to monitor your progress toward your educational and career goals. They can also help you with the extremely difficult transition from high school to college. During your first two and a half years, these individuals can help you create a course schedule, keeping track of required prerequisites and contrasting your needs with the master calendar of courses that are offered. Without this guidance, students may find that certain prerequisite that must be completed for first semester junior year may not be offered second semester of the sophomore year and thus must be taken earlier in the student’s yearly schedule. Not knowing could lead you to miss a key progression that ultimately prevents you from completing your program in four years. In addition, if you are unclear as to what you want to major in or begin to have second thoughts about your choice of major, your advisor will not only be a great resource for helping you identify what you might want to consider instead. In the case of the person who is undeclared as to a major, your advisor can help design a broad-based general program that leaves you ample openings the last two years to move into a selected major. In the case of making a change, your advisor will be able to examine the specific repercussions of a change and help you mitigate the impact. During the latter part of your junior and all of your senior year, these individuals will serve as the first resource for that even bigger transition – when you complete your program and begin your career. At the same time, college operates on a you-need-to-be-an-adult basis. Your advisor will not be required to schedule such appointments. In fact, he or she will expect you to seek him out when the need arises. The University of Chicago web site has some great advice on how often you should meet as well as the proper protocols for setting up sessions. One of the major differences between high school and college is that attendance is not mandatory in most college courses. While a few professors may include attendance and class participation in your final grade, most will not. The extra freedom is one of the great things about college. But with that freedom comes great responsibility. The quickest way to extend your post-secondary years is to either drop or fail classes. After all, the sheepskin comes only when you have accumulated the requisite number of credits. There is no doubt that class attendance facilitates the learning process. First the professor will present material that will supplement and elaborate on the readings and other written assignments. Those presentations can be essential to understanding difficult material. Second, the discussions of your peers regarding the material are both enlightening and motivating. In fact, most students soon realize that the lack of interaction that often occurs with online courses makes it very difficult to maintain your enthusiasm. Mississippi State University has collected data for eight years and found that the No. 1 predictor of academic success for freshmen was regular class attendance. Furthermore, MSU found a full grade-point difference between those who go to class (2.7 on average) and those who have attendance problems (1.7). Michigan State University, the University of Minnesota and Minnesota State University all have published results that tie class attendance with course performance. This should go without saying – the surest way to extend college is to receive D’s and F’s in courses. Unlike high school, all college courses have extensive rigor and significant work demands. Cruise control is not likely to cut it unless you are a distant cousin to Albert Einstein. To be successful, you must not only find time to study, you must make a commitment to doing so. First and foremost, that means finding a quiet place where you can focus on the task at hand. And for most, that means getting out of their dorm room. 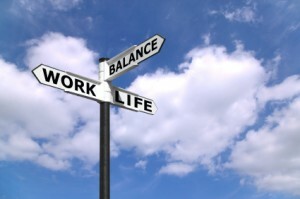 The second element involves good time management skills. Studies show that studying in shorter chunks of 20-50 minute time periods followed by a brief break of 10 minutes is far superior to multi-hour sessions. Furthermore, the most challenging work should be done as early in the day as you can get to it. The more the day progresses, the more you get tired and your concentration level drops. That means you should rank your classes according to difficulty. For the two or three hardest classes, you should schedule some time every day to work on them, again focusing on working on the most difficult as early in the day as possible. Lastly, use the self-quizzing method that is so espoused by college professors. That means frequently closing the book and your notes and trying to recite the key concepts aloud. The recent economic downturn has been tough for workers but those with an education and sought-after job skills have fared much better. Those without a degree were far more likely to be laid off during the recession or suffer through reduced pay and benefits. But time and time again we have insisted that the emphasis on the traditional four-year bachelor degree is wrong, that students should consider all higher education options, especially the two-year and four-year programs at their local community colleges. These programs not only focus on skills as much as academics, the shorter duration two-year program gets graduates into the workforce much sooner while both two- and four-year options allow graduates to earn a degree at a much lower cost. Those who doubt the viability of this option should take note of a recent analysis of employment data in the state of Florida by the Miami Herald. A review of that data by the newspaper revealed that community college graduates, on average, earn a higher starting salary than those who graduate from four-year institutions. 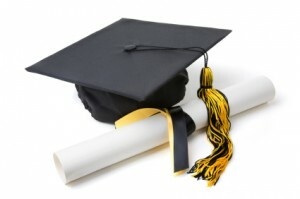 This assertion has raised questioning eyebrows everywhere, but the paper’s analysis of 2009 Florida employment data determined that those who earned either an associate’s degree in science or a bachelor’s degree from a community college earned $47,708 in their first year of employment. In contrast, those who earned a bachelor’s degree from a private four-year college made an average of $44,558 and those with a bachelor’s from a public four-year institution $36,552. The Herald surmises that these wage differentials are likely due to a greater focus on practical skills and technical training directly related to the world of work. While community colleges feature such a focus, the belief is that liberal arts colleges tend o tfocus more on pure academic knowledge. In making its determination, the Herald noted the massive difference between those who earned a two-year associate’s degree in the sciences ($47,708) versus those with a two-year in the arts ($31,836). Of course, students must be careful, this data reveals a correlation, not necessarily a cause and effect. One reason that community college students might earn more at the outset is that these students are often non-traditional. They are not necessarily attending college directly after high school and are more likely to have already been in the workforce. Ultimately, these individuals often have a stronger resume when they do eventually complete their two- or four-year degrees and are likely worth more to businesses. It is also important, however, for students to understand the complete picture. Published studies clearly indicate that over a worker’s lifetime, four-year graduates earn more in total wages. Furthermore, four-year graduates have a higher earning ceiling over time, especially those students who complete a four-year program then move on to earn a graduate degree. The Herald reported similar findings for the Florida data. But the data clearly indicates that treating an associate’s degree as a substandard or meaningless level of education is inaccurate. Clearly, job-specific training courses for occupations in the legal field, early childhood education, or any one of a number of healthcare specialties can provide students the opportunity for a good job with solid pay and benefit packages. Accumulating smaller levels of debt also mean that students can also be in a better position to pursue further academic options over time. The key is that neither an associate’s nor a bachelor’s degree has to be thought of as a terminal option. One can always go back and earn the additional credentials that can lead to additional promotions along with subsequent salary increases. The Herald further reinforces the need for an education and additional skills. Individuals holding just a high school diploma averaged less than $21,000 per year in earnings. And it also reinforces the notion that when it comes to certificate options, students can expect higher earnings by focusing on programs where training is longer than six months ($37,356 versus $39,108). Let’s face it, when it comes to graduating students, colleges as a group are not getting the job done. With graduation rates trailing those of high schools by roughly 25 percentage points, there is little doubt that college dropouts are a huge issue. But a new report from The Education Trust reveals that the for-profit college sector takes the 50 percent national college graduation rate to depths not seen before. It seems that the for-profit industry is graduating barely 20 percent of its students when using the standard statistical time frame of six years. Though for-profits spend far less to educate each individual student than public and private colleges, the average low-income student at a for-profit actually ends up paying almost $8,500 more per year than the average low-income student at the more expensive private nonprofit. The result is that these institutions, rolling in profits from strong marketing campaigns, appear to be doing very little for students with the exception of saddling them with enormous amounts of debt. As with the collapse of the subprime lending industry, the showdown between for-profit colleges and the government shows how the aspirations of the underserved, when combined with lax regulation, make the rich, richer and the poor, poorer. For-profit colleges provide high cost degree programs that have little chance of leading to high-paying careers, and saddle the most vulnerable students with heavy debt. Instead of providing a solid pathway to the middle class, they pave a path into the subbasement of the American economy. The report certainly clouds our thoughts as to whether or not one should still consider for-profit institutions when thinking of where to apply to school. When it comes to students choosing where to apply to college, there is growing evidence that the total cost of attendance is not given enough consideration. In fact, the failure to discuss how students are going to pay for school is called the “Pink Elephant in the Room” by Anne Richardson, the Director of College Counseling at Kents Hill in Readfield, Maine. A new report from the College Board and the higher education consulting firm Art & Science Group LLC, confirms Richardson’s assertion. The new study reveals that many students consider colleges that they simply cannot afford to attend. More than a thousand high school seniors were interviewed in the study. Participants were randomly selected and interviewed on two occasions. In the early part of winter students were asked where they were thinking of applying to college. In addition, the researchers asked students about the challenges of paying for school. Just over 900 of those students were then randomly selected for a follow up session in late spring where they were asked the same set of questions. In the first set of interviews, 63 percent of the students indicated that they and their families would have a hard time paying for college. In the second set of interviews, 59 percent continued to indicate that they would have a hard time paying for college. However, though it was clear that the cost of college was going to be a significant challenge for more than half of the respondents, the students clearly had done very little work towards determining how they were going to pay for school. Despite the large number of web sites offering financial aid calculators, 40 percent of the second group of interviewees still had not used an aid calculator to examine how much they and their families would be required to pay. The most disappointing element was the number of students who indicated that they were going to “work out how to pay” for school when the time comes. While 24 percent of the early group gave such a response, come spring, when the time was now upon them, 22 percent still gave the very same answer. In addition to not having done any additional work as to how they were going to pay for school, the respondents also clearly lacked a basic understanding of what payments they would have if they borrowed for school. For the first group polled, 40 percent said that they had “no idea” what their loan repayment would be on a monthly basis. For the second group, 39 percent said the same thing. Sadly, too many students focused on school prestige and strength of academic programs exclusively and gave little regard as to how they were going to pay for these schools. Simply stated, those polled were not giving enough thought as to the affordability of specific schools. Of course, that value changes if one has to borrow significant sums to earn that all-important diploma. If one is of unlimited means, then the question becomes essentially moot, the prestige and programming at the most expensive schools is likely the way to go. 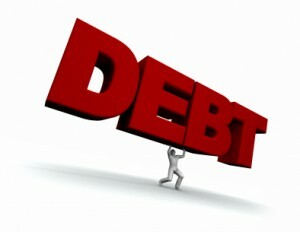 But if one has to take on debt the question as to how much is too much is a fundamental one for students and parents. Depending on one’s future earning power, borrowing can become a real problem. The fact that students and their families are not tackling the “pink elephant” in the room is appalling. The failure to have this discussion is clearly one of the key reason’s why student debt has reached crisis stages. Class of 2009 – Increased Debt a Function of Student Choices? When it comes to earning a college degree, students must do a better job of shopping around. Unfortunately a new report from the Project on Student Debt confirms that the debt load for college graduates continues to escalate. For the most recent set of graduates for which full data is available, the Class of 2009, the average debt load increased yet another 6% from its 2008 levels. That puts the average student debt load for a graduate in 2009 at $24,000. That number becomes even more critical when one considers the unemployment rate for young college graduates rose from 5.8 percent in 2008 to 8.7 percent in 2009, the highest annual rate on record. Though the average debt load number is significant, it is imperative that students understand that the variability of debt from school to school and state to state is extremely large. Simply stated, students can significantly limit their accrued debt by choosing an appropriate school. First of all, at the state level, debt at graduation from four-year colleges ranged from $13,000 to $30,000. 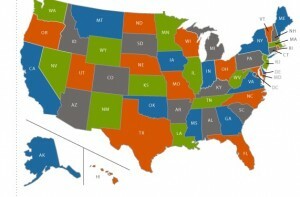 The highest debt states continue to be concentrated in the Northeast while the lower debt states are primarily in the West. But as great as the discrepancy is state-to-state, the variation from college to college is far greater. According to the report, the campus debt ranged from as little as $3,000 to a maximum of $61,500. And while most tend to think that those with higher tuition are the culprits, the report found many examples of schools with high tuition rates and low debt. As a rule, however, those schools with higher tuition rates did post higher debts. Most importantly, this data taken collectively indicates that the decision as to where to go to college and which specific college to attend can dramatically impact the final debt load of a graduating student. The increased debt load of students in the Northeast is attributed to a couple of factors. First, both private and public four-year colleges in the Northeast have higher than average tuition rates. Second, the report notes that a larger than average share of students in the Northeast attend private nonprofit four-year colleges instead of public. The result of these two factors, both controllable factors for students, produce higher average debt loads for students in this region of the country. The news out of New Hampshire is doubly troubling – the state ranks second in student debt load with an average of $29,443. In addition, a full 72% of graduates end up with some form of debt, a percentage that ranks the state 5th overall. 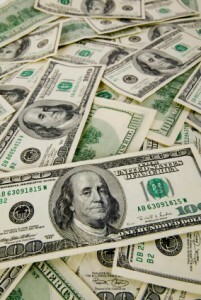 The District of Columbia ranks highest in average debt at $30,033. But another important factor is that a much lower percentage of students, 51%, graduate with some form of debt. That figure ranks the District of Columbia 38th overall. Clearly, different choices by students impact this data immensely. The bottom line is that there are schools that consistently produce graduates with high levels of indebtedness and those where the opposite is true. The report also reveals some very interesting results when looking at the type of loans students take on when incurring their debt. We have often noted that other critical element in the loan process, the use of private versus federal loans to help fund the costs of college. Private loans lack the basic consumer protections and flexible repayment options that accompany federal student loans including deferment, income-based repayment, and the potential for loan forgiveness. Because private loans also typically have uncapped, variable interest rates, these loans generally cost more for those students who can least afford the additional expenses. Therefore private student loans continue to be one of the riskiest ways to pay for college and should be avoided by students if at all possible. However, according to the report, about 33 percent of all bachelor’s degree recipients in ‘08 graduated with private loan debt. When all graduates were taken collectively, the average private debt totaled $12,550 for the ’08 grads. Here again, the report details significant variation in private loans depending on the school. As but one example, only nine percent of the overall student debt at Indiana University-Northwest (IN) was composed of private loans, compared to 41 percent at Bowling Green State University-Main Campus (OH). Yet both of these colleges had very similar levels of overall borrowing. The data once again reveals that at some schools students not only wind up with more debt, they amass more of the worst kind of debt a student can accumulate. There are several key messages for students to take away from this recent report. Unless a student is from a family with unlimited means, all of the data points to the need for students to do their homework before applying and committing to a particular school. In addition to the many key elements such as programming options, size of school, type of campus (rural or metro), etc., it is imperative that students carefully review the data from the Project on Student Debt. As with programming, not all colleges are created equal. With a little extra research, it is possible to choose a college that is known for helping you control your acquired debt even as you earn that all-important degree. The problem today is that too many students are not doing their homework and in doing so, are mortgaging their future in the process of earning that coveted degree. Schools with low debt levels. Click here for complete school data. For Profit Colleges – Should You Still Consider their Programs? Over the past couple of months, a great deal of negative information has emerged about for-profit colleges. Particularly disappointing are the reports of failed promises regarding the value of a degree and the allegation that admissions counselors had encouraged students to falsify financial aid documents. These allegations and others certainly must raise a red flag for students. The question becomes, should students consider for-profit colleges when making their decision as to which school to attend. The answer is an unequivocal yes in our mind. But that answer comes with an important recommendation, that students do their homework regarding the school, the value of its programs, and the costs of those programs before making any commitment to attend. What Is a For-profit School? When asked, most students do not actually understand the difference between traditional colleges and universities and those that are called proprietary or for-profit. The difference is monumental. Traditional schools are run by the government or a religious institution and are answerable to a board of trustees. Proprietary or for-profit colleges are operated by a group of investors or owners and are answerable to those constituents. The fundamental goals are therefore different with the focus of the second group being about making money for a group of investors. However, while that idea might seem strange to many people, using a business model in theory could make schools focus more on producing value for students. In fact, in most cases for-profits have done a better job than traditional schools in meeting student needs. These proprietary schools were the first to focus on online programming that gave students greater flexibility regarding taking courses. They also broke the traditional school calendar mold that had new students beginning only in the fall or spring and had courses fixed to a specific calendar. For-profits were the first to adopt models that allowed students to begin at multiple points during the calendar year and then work at their own pace to complete. The result is that programming for students became far more responsive to the needs of the person taking classes. This was extremely important to those who could not afford to take college in the usual format but needed to gain schooling while they were actively working full time and also raising a family. The for-profit model pushed the envelope in this area and now, traditional schools are beginning to understand the need to get on board if they want to compete for the adult student. This competition has been very healthy for the industry and thus we give for-profits high marks for their innovation. While the business model demands for-profit schools be accountable for their finances instead of relying on a steady stream of tax dollars, concerns have emerged that their focus on making money has them doing so on the backs of their students. Troubling stories abound of students deep in debt and holding almost worthless degrees. Worse yet is the notion that for-profit officials may have encouraged students to commit fraud in the financial aid application process. The tales of alleged fraud certainly create a very poor image and raise legitimate questions as to the integrity of certain schools and specific aid offices. No one can condone such outlandish behavior. But truth be told, some of the other concerns raised about for-profit schools mirror the non-profit sector as well. Large numbers of students are leaving traditional school with enormous loans to repay and in some cases owning a degree that does little to provide them employment options. So what are the key issues for students? We think there are three areas students should focus on. But it is our recommendation that students considering any school, for-profit or non-profit, pay attention to these three items. If a school does not possess accreditation from a respected agency, then you should not give this school a passing glance. 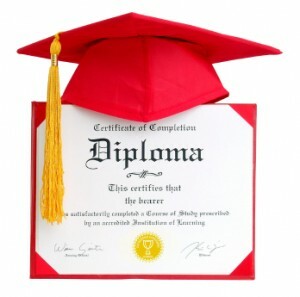 There is a phrase for schools that cannot produce credentials – they are called diploma mills. Such schools simply sell a worthless sheet of paper to unsuspecting victims. In the case of viable for-profits, a number will possess a national accreditation that may at first sound stronger than regional accreditation. But the fact of the matter is that regional accreditation tends to be more rigorous and credits from schools that have attained such status are more transferable. The bottom line is that students need to do their homework in this regard. You must verify that the program of studies has the appropriate accreditation to give it real value. In the case of certification programs, students must check to be sure the program of studies at that school will indeed give them specific credentials they seek for specific job options. Furthermore, if students are using a for-profit as a stepping stone for a full degree program, the responsibility for verifying that the credits from the for-profit will transfer lies with the student. You cannot simply accept the word of the for-profit institution. Many traditional programs still hold these newer programs in low esteem. Even for extremely viable study programs, it may be difficult to transfer credits to a more established school. But the same advice holds true for community or other public schools. Before taking any two-year program, check to be sure that the credits being earned will be fully transferable upon completion. For-profit schools will generally offer greater flexibility around the specific courses that they offer as well as around the time frames a student will require to complete their degree or certification program. But this convenience comes with a price, at times a very steep one. Despite offering students little in the way of library or on-campus benefits, for-profits are generally more expensive per credit hour than other institutions. In a recent Government Accountability Office report that has garnered a great deal of attention, these costs are made abundantly clear. The report notes that one student was informed by a specific school that a certificate in massage therapy would be a good deal despite charging the student a total of $14,000 for the certificate program. 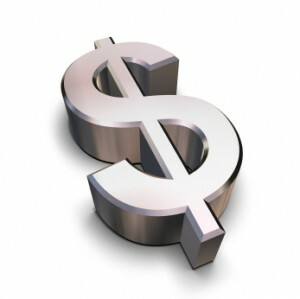 The GAO found that a local community college in the same area offered a similar certificate option at a cost of $520. As one other example, the GAO report noted that a specific medical assisting certificate program was $12,000 at a for-profit college. The report contrasted that figure with two others for a similar certificate program: one at a cost of $9,307 at a nearby private nonprofit college and another of $3,990 at a local public college. These figures make it imminently clear that students must shop before committing to any school for a program. While for-profits are very strong advertisers and pursuers of student business, often focusing on their positive attributes (that flexibility we mentioned), students clearly pay for that convenience. Simply stated, higher education officials and their institutions must have high levels of integrity. If during any meeting related to financial aid you are encouraged to falsify or exaggerate information, you should end the meeting immediately. Such encouragement should raise red flags regarding all aspects of what you have received for information from a school. But since you are the one signing the documents, you will be the one held liable for fraud charges should they develop. When given information about graduation rates, the job opportunities related to a specific industry, and the earnings potential for jobs in that field, do a little research on your own to see if the figures you have been provided match real data. The Internet makes it very easy to check school claims related to completion rates or job prospects. Again, if at any time you find yourself being misled, then you should look for another school that offers programming in your desired field of study. All schools can be guilty of overselling their programs – ultimately it is the student’s responsibility to do their homework in this regard. There are many viable for-profit schools and programs that serve a key role in the education of the adult workforce. Painting all with a negative brush does a disservice to students. But whether or not it is a non-profit or for-profit college, it is the student’s responsibility to ensure that he or she is getting real value for the money that is spent. If you fail to do your homework, you could well end up spending too much for your degree or certificate or worse yet, wind up with a degree or certificate that is of no value to you as you seek improved employment opportunities. Finally, a list based on objective criteria. We have routinely panned the many publications that formulate arbitrary rating structures then use those ratings to sell magazines. But there are independent organizations that seek to provide information that is meaningful to students and families and in some cases provide the info free to the public. Such is the case with the non-profit American Institute for Economic Research and their 2010-2011 College Destination Index. AIER focuses on ranking the “Best College Towns” breaking up those towns (probably should be called cities) into four population categories: populations under 250,000, 250,000 to 1 million, 1 million to 2.5 million, and over 2.5 million. The goal of the index is to provide students and their families a way to compare college locales as opposed to examining any one specific school. To determine the ranking, the American Institute looks at three distinct areas: academic environment (student diversity, research capacity, and degree attainment), quality of life (arts and leisure, city accessibility, creative class and cost of living) and professional opportunity (earning potential, entrepreneurial activity, unemployment rate and brain gain or drain). What makes the publication meaningful is that it is based upon truly objective data. AIER uses information collected from the U.S. Census Bureau, the U.S. Bureau of Labor Statistics, and the National Science Foundation. It is not based on any criteria that schools self-report nor is it based on anecdotal evidence like surveys. In arriving at their top college towns, AIER identified 222 metropolitan areas with at least 15,000 students. Below we list their findings for the top 70 in the four distinct population categories. Those interested in the findings will find the index free at the AIER website. The details are well worth an examination. For example, in the largest metro areas, San Francisco earns the top spot overall. But a more in depth look will reveal it also offers the highest cost of living numbers for the larger cities. If you want a big city atmosphere but are concerned with cost of living, then Minneapolis/St Paul, Denver, Phoenix or Atlanta are the place to be. If you want diversity, then Phoenix is your place but it is the lowest in arts and leisure, etc. And yet another interesting element is whether or not a student will head off to college thinking he or she will return home upon completion of their program or want to use that locale as a career jumping off point. The detailed info provides current unemployment numbers as well as the earning potential should a student choose to remain in the area. 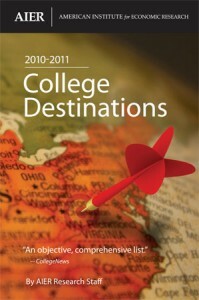 While the summary is available online for free, the institute is also publishing a companion guide, 2010-2011 College Destinations ($10) which provides info on all 222 locales as well as in depth details on 40 cities from the index, 10 from each of the four population categories. 8 San Diego, CA Rochester. N.Y.
5 Gainesville FL Champaign-Urbana, IL. More on College Rankings – No Consensus on Objective Criteria? The Chronicle of Higher Education, most likely the No. 1 source of news and information for college and university faculty members and administrators, often provides a revealing perspective when it comes to colleges and universities. The site is visited by more than a million unique visitors each month and sees more than 12 million page hits in the same time period. In the graphic, readers can see that lines are used to connect an organization/publication rating colleges to the specific measures those raters take into account when determining their rankings. As Richards and Coddington point out, the visual offers striking information. That indicates a lack of agreement among them on what defines quality. We wrote last week regarding our skepticism about the college rankings system currently in vogue. We suggested that it was nothing more than an effort to sell magazines and newspapers and that the ratings process provided very little value to students considering various colleges. The Chronicle’s graphic represents a complete condemnation of the process and simply furthers our view that these organization’s/publications are preying upon a poorly educated public. College applicants need to understand why so many bloggers insist that college students should pay little attention to rankings. Readers of our blog know our emphasis on value. For that reason we have noted the importance of the payback ratio and the concept of the honors college. Furthering our value concept, we have also posted our five reasons to consider your local state university. All told, it is our view that state universities consistently offer some of the best values going. But such a position must go hand in hand with the most important statistic, college completion. While the public is often bombarded with America’s K-12 school dropout issue, the fact is that college dropout rates far exceed what transpires in the K-12 sector. These poor results as well as lists of the best and worst college graduation rates recently hit the headlines with the release of the American Enterprise Institute for Public Policy Research’s release of Diplomas and Dropouts (PDF).The private, nonpartisan, not-for-profit institution dedicated to research and education on issues of government, politics, economics, and social has compiled the completion rates of all American colleges and universities. For the record, the study utilizes the common six-year completion method, i.e. those who complete their degree within six years of entering school. While we would prefer to see summaries of those who complete their program within four years, the six-year figure is the going standard. Those reviewing the report will find the highest and lowest grad rates for students based on school selectivity but the report does not offer a complete breakout for state universities. Given our ongoing support of state university systems, we took the time to review the AEI report for readers. 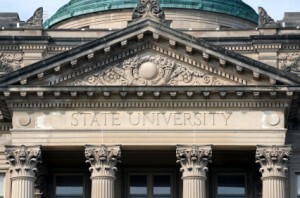 Below you will find our list of the top ten state universities by graduation rate. All offer very strong numbers. To be sure, not all of these schools have the same selectivity rating. And readers must understand that we cannot fully articulate the reasons why one school tops another. We do not know if it is because of stronger support for students, better instruction, or the proper level of entrance criteria. In fact we would guess it is most probably a combination of all of these elements and more. The bottom line is not all schools are as successful as their counterparts. To get a full sense, we also offer a complete summary of all state institutions after our top ten. To give readers some other key data, our final list includes the percent graduation rate, in-state tuition and fee costs, total enrollment and the state graduation percentage (average of all colleges in that respective state). * We have provided the data for the five largest branches. Cutting Edge Majors – The Medical Marijuana Industry? Once upon a time, it was lumped together with the harshest of drugs. But in recent years marijuana has started claiming a new place in society. As states continue to enact medical marijuana usage legislation, those responsible for implementing the new laws have been charged with designing growth and distribution requirements and protocols. The result is an emerging industry that some think could one day rival a significant sector of the pharmaceutical industry. As a student, dare we even say it, you may be interested in knowing there is a college that features training in this emerging field. Inspired by his visit to the cannabis college in Amsterdam, Lee envisioned a school that offered a different program than the horticulture focus of the college in Amsterdam. While offering a program that still does fundamental study in horticulture, Lee expanded on the cannabis college idea to create a trade school. 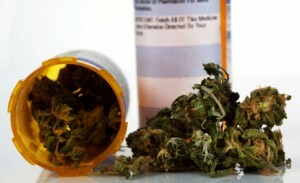 His idea was to try to legitimize the cannabis industry, particularly as it relates to the field of medical marijuana. According to the school’s web site, “20 lucky and trailblazing students packed into a small classroom in Oaksterdam located on 15th Street” in what was to be the first official course offering. That class reportedly was taught by some of the biggest names in the cannabis industry: Chris Conrad, Richard Lee, Lawrence Lichter, and Dennis Peron. Soon armed with a 3-month waiting list for class openings, the school began expanding. As class sizes grew, course offerings grew in frequency and in format. In 2008, Lee opened a satellite school in Los Angeles. Later, when Michigan passed its medical cannabis law, Oaksterdam University brought its program to Ann Arbor and held the first Michigan class in May of 2009. Shortly thereafter, the latest campus, North Bay in Sebastopol, California was opened. And in November of 2009 the main campus branch moved to a sprawling 30,000 sq.ft. campus at 1600 Broadway, in Oakland. The new campus is home to numerous classrooms, two auditoriums, a grow lab, and a theater. Oaksterdam University offers two distinctive formats. For those with a casual interest, the school offers a number of weekend seminars at $250 per seminar. For those with a desire to learn more about cannabis, the school also offers a comprehensive Semester Program called the Classic Semester. This format meets once a week for 13 weeks with two and a half hours of instruction per class (a total of roughly 32 hours of instruction) and costs $650. 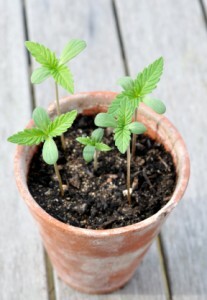 In addition to expert instructors and the guest speakers, each week also includes a comprehensive grow lab experience. According to the Oaksterdam site, accomplished horticulturists walk students, week-by-week, through growing their first garden. Those students choosing the Semester Course may earn a number of certificates. The school offers two fundamental certificates: a Certificate of Attendance for those who attend all classes and a Certificate of Completion for those who attend all classes, complete the midterm and pass the final. For those wondering more about the curriculum, the Classic Semester offers an eclectic mix of topics including two Horticulture offerings: Horticulture and Horticulture: Advanced Grow. It also offers several legal units including: Federal Vs State Law; Legal Rights; and a Know Your Rights workshop. In addition, time is spent on three Methods of Ingestion offerings: Extracts; Cooking (includes a step-by-step tutorial on how to make cannabutter); and Vaporizing. There is also a science offering called The Science of Cannabis (formerly Medical Cannabis) as well as two business based offerings: Economic$ and Cannabusiness: Legal Business Structures. employment in a dispensary or to start a business of their own. Students interested in enrolling will be pleased to learn that admission is essentially first paid, first served. No one is interested in your GPA, or your SAT scores. There is no need to have a wealth of extracurricular activities on your resume – the school doesn’t even ask for a resume. But if you think it is all a walk in the park you may want to think again. If you are worried that your well-to-do uncle may disown you for selecting this career path you need to understand that your real, personal information must be included on your enrollment form. A failure to provide accurate information (no fictitious names like Token White) could result in your being denied a seat in the class. And unfortunately, there are no scholarships available. 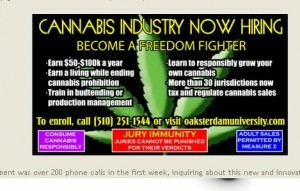 Oaksterdam University indicates it needs your tuition to cover expenses. 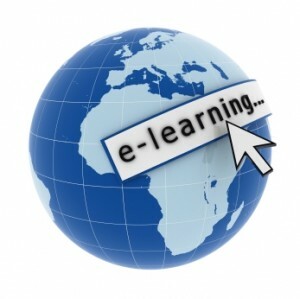 The school currently does not offer any online courses. And there is also that matter of a test, albeit optional, for those students who want certification from Oaksterdam University. To pass, students need a score of 75% or better. Lastly, there are required textbooks: Marijuana Horticulture: The Indoor/Outdoor Medical Grower’s Bible, by Jorge Cervantes ($29.95 + tax), and Buds For Less, by SeeMoreBuds ($18.95 + tax). There is also a required DVD purchase: Busted! Flex Your Rights ($16.00 + tax). Worse yet, there is even recommended supplemental texts if you are serious about the subject. They are not required mind you, just suggestions to expand your education. They include the Marijuana Medical Handbook, the Big Book of Buds Version 3, the Marijuana Garden Saver, Ask Ed, Marijuana Gold: Trash to Stash, Marijuana Cooking: Good Medicine Made Easy, and Organic Marijuana, Soma Style: The Pleasures of Cultivating Connoisseur Cannabis. Most importantly, those who take their out of school studies/experiments/time too seriously need to understand that class attendance is expected. Refunds are not available for missed classes unless 7 days prior notice is provided (apparently planned parties may work). And when it comes to promises, the school makes no pretenses about the certification that students can earn. When it comes to applying for a job at a dispensary, the school “hopes” that the certification program will give a student an advantage in the selection process over someone who is not certified. « A Course on Romantic Relationships – for College Credit?